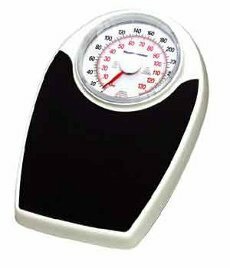 You've been doing a great job sticking to your diet and the pounds are starting to come off. But now comes the Thanksgiving holiday, with its huge meals and tempting desserts. David Levitsky is a professor of nutritional sciences, as well as psychology, at Cornell University. He and graduate student Carly Pacanowski have written an article for the journal Public Health Nutrition that makes for timely reading this week. In it, Levitsky and Pacanowski argue that we get subconscious cues that influence our eating every day. Many can be reinforced at holidays like Thanksgiving. For example, watching others eat can influence how much - and what - you consumer. If Aunt Lucinda throws caution to the wind and piles on the gravy, or samples everything on the dessert tray, it can affect our own willpower. The article finds portion size has emerged as one of the most powerful links to overeating. That significant when it comes to a traditional meal like Thanksgiving. “And it’s not just the amount you put on your plate, but also the package size from which the food comes determines how much you will eat,” Levitsky said. By consciously taking small portions of the Thanksgiving meal, dieters can get through the holiday without blowing up their diet. Being conscious of how much you are eating, the authors argue, is the key element of sticking to a diet, during the holidays or all year round. The article suggests dieters can weigh themselves and graph the results on a daily basis to counter these forces because it boosts one’s awareness of unconscious eating. It also suggests that the government plays a role in combating the obesity epidemic by subsidizing fruits and vegetables, making low-calorie foods cheaper.